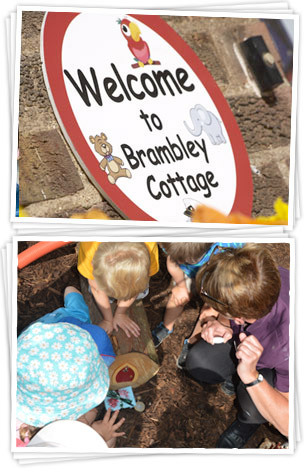 Brambley Cottage Pre-School and Day Nursery is an independent family run nursery in Hessle, East Yorkshire which has been caring for children aged 6 weeks to 5 years since 1998. Being independent and not part of a chain leaves us free to focus all our energies on ensuring our nursery is the best it can possibly be for you and your child. Enjoying an idyllic setting surrounded by green fields and its own car park, Brambley Cottage is a 65 place single storey open plan nursery. This means we can provide ‘free flow’ outdoor experiences where the children can choose to play outside without having the obstacle of stairs to prevent them. Our children's learning, development, safety and happiness are really important to us, but we also believe in having fun! With a large team of enthusiastic qualified nursery nurses of varying ages led by a management team who have worked in the field of childcare for a significant number of years. We have a proven track record of providing high quality childcare in a happy, stimulating and caring environment in which every child can flourish. We recognise every child's individuality by supporting and enabling their learning so they can develop at their own pace. Our children are integral to everything we do and our planning is no different, lively discussions are commonplace, ideas flow freely and child-led activities are formed. Their imaginations take us to some of the most amazing places! We were really proud to be rated OUTSTANDING by Ofsted in February 2017; “the children make high rates of progress. 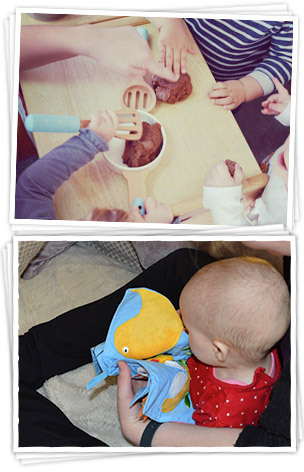 Staff know children extremely well and meet their individual needs and interests. They complete accurate observations and meticulously assess and track children’s progress. The manager and staff take prompt action to provide further support for the next stage in children’s learning”.